1) Stay on a regular sleep schedule. You can’t stay up late during the week-end and suddenly on Monday morning wake up refreshed. If you do enjoy later nights on Friday and Saturday vow to get to bed early on Sunday to wake up rested. 2) Avoid the sugar and caffeine roller coaster. Eat some protein and foods with a bit of fat in the morning. The brain needs protein and the body does not store it. You don’t have to eat very much- a glass of low fat milk, a piece of cheese, or a handful of nuts will get you going instead of pure carbohydrates like a plain bagel. 3) Take a 5-10 minute power nap around lunch. Even if you just close your eyes and let your mind drift you will be refreshed for the afternoon. This is also effective anytime you feel yourself not concentrating, reading the same material over and over. Give in to the urge and completely relax for a few moments. 4) Drink more water and liquids. I know, everyone says to drink more fluids. But most Americans are in a constant state of dehydration from filling up on coffee, tea, and sodas with caffeine. This is very stressful to the kidneys and can cause irritation to the bladder. Keep a sports bottle filled with your favorite flavored water or just plain and keep it with you at all times. Set a goal- empty by lunch, refill, empty again by the time work is over. Carry plenty of water in the car too for you and your family. 5) Exercise regularly. This is easier said than done with a busy schedule. A poor conditioning level causes you to be short-of-breath and your heart to race when just doing simple things like climbing a flight of steps or doing household chores. Park farther away when shopping and walk Dust off that exercise machine or get an exercise tape to play when weather is bad. Set an example for the rest of your family and maybe they will join in too! 6) A joke a day keeps the doctor away. Seriously, laughter has many beneficial effects on the body. The brain chemicals for experiencing pleasure, happiness, and peace increase with good, hearty laughs. Live alone? Get a funny movie or watch a light-hearted comedy on tv. Nothing sarcastic or put-down, however. 7) Avoid confrontations and situations with negative people. You know who they are. They are not going to change but they will bring you and your mood down. The complainers, gossipers, and generally unhappy souls we all have to deal with on a day-to-day basis drain our energy if we allow them. Be polite but avoid arguing or getting hooked into listening to their constant problems. 8) Take regular, daily supplements of the highest quality. Our food and diets simply do not meet the amounts needed for maximum health. 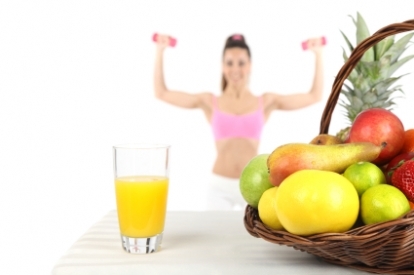 There is a difference between avoiding nutritional deficiencies and optimum performance.